There are several photos on Picture the Past showing Sunday School celebrations in Stapleford. Unfortunately we don't have much information about how these parades were organised, or when they took place. In this picture, the people of Stapleford have turned out for a parade...but when? 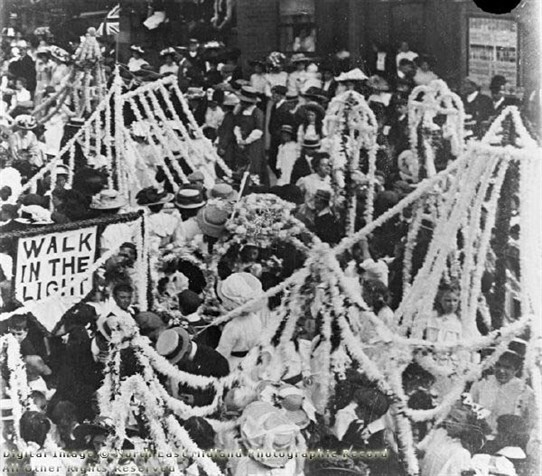 Whitsun and May Day fall in early summer, and it is likely that Sunday School processions would have taken place on one of these dates. Perhaps someone with an eye for costume can pin down the year for us.